Here at Rainforest Cruises, we like to see tourism to the Amazon rainforest as a force for good, helping to maintain the integrity of the jungle’s immense bio-diversity in the face of massive pressure from extractive industries. Symbolic of this force is the transformation of a hunter into a guide … exactly the journey that M/V Anakonda guide, Juan Kunchikuy has made. And what a journey it has been! It began in the small village of Kamantsa, in the province of Pastaza, in 1978. This is a very remote corner of the Ecuadorean Amazon, bordering Peru, home to various indigenous peoples, including the Shiwiar, of which Juan and his family are members. The Shiwiar - which are one of Ecuador's 25 officially-recognised ethnic gruops - number some 850, spread across 15 villages in Ecuador and Peru. Families live in a roundhouse, with a raised platform on which all generations sleep. Ayahuasca plays a large role in communal life. Decisions are made at annual meetings of the community leaders, or sometimes, all Shiwiar adults - some having to walk for 3 days to get there - come together, to discuss issues and take ayahuasca, to assist in the decision-making and bonding process. All food is shared amongst the whole village, and much of the work, such as planting, is done communally, according to the tradition of ‘minga’. Growing up in Kamantsa, a village of seven families numbering 30 in total, Juan followed a path taken by his ancestors for centuries. He was one of 13 brothers and sisters, of whom five died young, and his native language was Shiwiar Chichan. He became an accomplished hunter as a teenager, and his ambition was to be a shaman (like two of his uncles) or a warrior. He was expected to marry a Shiwiar girl from outside his immediate family, but his path took a radical turn at the age of 18, when his brother persuaded him to go to college in a Kichwa-speaking community, Canelos. This was the first time he had worn shoes in his life, and it all felt extremely alien at first. Nonetheless, he graduated in Sociology, and became interested in Languages, as he already had a base of four Amazonian languages, along with Spanish. He began work at US-owned Yachana Lodge, on the Rio Napo, and it was the owner of this lodge that helped Juan travel to San Louis, Missouri in order to learn English for 6 months. 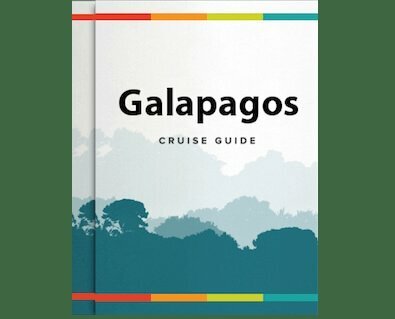 On his return, he began working as a guide at the lodge, a role he fulfilled for 7 years, before he became a freelance guide, which allowed him to work at various lodges and on the Amazon river cruise boat Manatee … and finally aboard the newly-completed M/V Anakonda. He has still found time between guiding jobs to attend classes approved by Ecuador’s Ministry of Tourism in Puyo, Coca, Baños and finally, Quito. His experience in Ecuador’s capital city convinced Juan that high-altitude urban dwelling was not for him, and so he now lives in Puyo, the capital of the province he grew up in. Since 2009, he has been involved with a Welsh NGO Plan-It Eco which promotes ‘environmental, sustainable and cultural awareness and understanding’. This work has afforded him the opportunity to visit the UK, to talk to schools and community groups about the importance of maintaining the Amazon rainforest, based on the experience of his own remarkable journey. To view some of our other Amazon river cruises, look here.